wish you could've been here in 2015.
youre wrong. im sure astralis have real fans btw im still fnatic fan since 2007.. Your keyboard is broken. Fix it and while you're at it also fix your personality as clearly that is also broken. 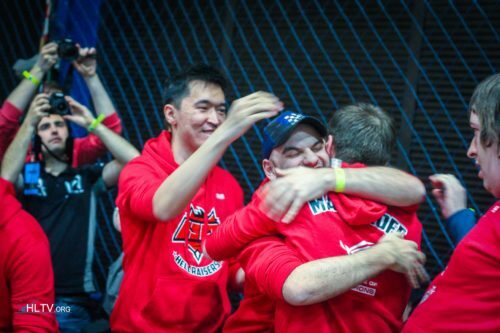 I have been a fan of Astralis since Dupreeh and Device were in CPH Wolves in 2013. Not really a fan of the team overall nowadays since gla1ve joined up. Let me guess, you're a Fanatic fan. I think it is stupid to devalue what sort of fans some people are based on what they are fans of. If anything, that just says you're insecure about yourself and unable to respect people that are different than yourself. astralis just need to win 1 more major to be G.O.A.T, fnatic won 3 majors in easy times.. nower days there is more strategic methods to playing the game, not only rushing / hs.. but placement of utilities and positioning ..
WOULD IT BE KIDS FUNCTION? fnatic beat GOAT teams like NiP and NV to win majors. Astralis beat lulquid and ence to win majors.Their only relevent win is against VP.